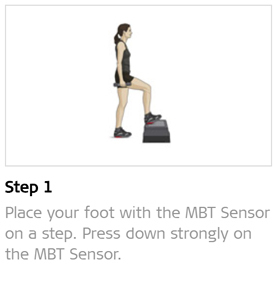 Starting position: Place your foot with the MBT Sensor on a step. Press down strongly on the MBT Sensor. 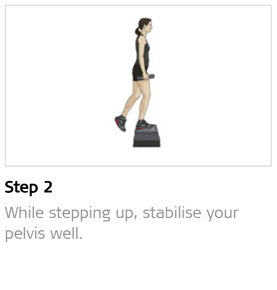 While doing so, stabilise your pelvis well and sink back down in a controlled manner. Carry out the exercise with both legs. Purpose: train leg muscles and coordination.